Real World Evidence is information on health care that is derived from multiple sources outside typical clinical research settings, including electronic health records (EHRs), claims and billing data, product and disease registries, and data gathered through personal devices and health applications. Other definitions of Real World Data, Real World Evidence and Evidence from Clinical Experience can be found in the following figure, taken from a working paper of the Margolis Center for Health Policy, Duke University (see References below). The meaning of the term “Real World Data” (or “Real World Evidence”) can only be understood in opposition to the term “Data acquired through controlled experiments” or, more simply, “Experimental Data”. The broader term “Empirical data” (or empirical evidence) refers in general to information acquired by observation or experimentation. This data is recorded and analyzed by scientists, playing a central role in the scientific method. In clinical research, any data produced is the result of a clinical trial, a designed experiment. Randomized clinical trials (RCT) is the trusted standard for assessing pharmaceutical drug safety and efficacy. An RCT uses a protocol, a carefully planned experimental framework to compare a treatment with a control. Patients participating in an RCT are carefully selected based on clinical criteria. When a drug developer has evidence from its early tests and preclinical and clinical research that a drug is safe and effective for its intended use, the company can file an application to market the drug (New Drug Application, NDA). In the US, the FDA thoroughly examines all submitted data and makes a decision to approve or not to approve it. In patients showing differences in disease severity conditions that require other medications (drug interaction, drug side effects). Healthcare is experiencing an avalanche of electronic data with sources including social media, electronic health records, insurance claim databases, health surveys, etc. All these sources deliver massive amounts of patient health and medical care data from outside of clinical trials. This “Real World Data” (RWD) or “Real World Evidence” (RWE) convey essential health information about patients in the context of their day-to-day lives. 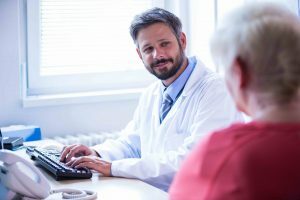 Research from RWD/RWE permits to understand how treatments work when applied in clinical practice environments by Health Care Professionals (HCP). RWD, properly analyzed, can provide critical insights that will help drive down medical costs, as well as improve both product safety and effectiveness. Text Analytics is an essential tool to uncover the hidden value of the health-related information available in electronic sources. 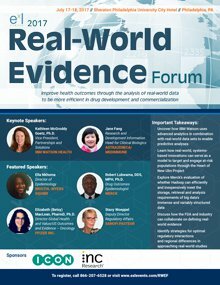 MeaningCloud Sponsors the Real World Evidence Forum 2017. R.E. Sherman. The New England Journal of Medicine, 375;23, pp. 2293.2297. December, 2016. Use of Real-World Evidence to Support Regulatory Decision-Making for Medical Devices – Draft Guidance for Industry and Food and Drug Administration Staff. U.S. Department of Health and Human Services, Food and Drug Administration. 2016. Incorporating Real-World Evidence in Regulatory Decision-Making: A Pragmatic Approach to Randomization in the Clinical Setting — Discussion Guide. Margolis Center for Health Policy, Duke University, 2017.